On May 30th a nice summer evening, Shangrila Farms hosted their investor event at 1949 Bar Veloce, who is famous for its fine wine and cozy atmosphere. The founders of Shangrila Farms, Saif Malik and Sahra Malik, were at the event presenting their ideas on creating a line of green food in China and supporting local farmers. 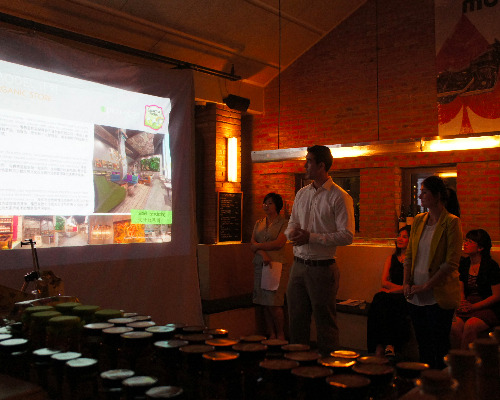 Products including coffee beans, honey, and beauty products are presented at the event. Free drinks made with Shangrila Farms’ products were served throughout the night to all guests.